We love going on an all inclusive holiday. Having someone else take care of all your food and drink is almost as relaxing as not having to worry about a budget while you’re away. But a holiday needs to be more than just all you can eat. Location is everything and these are our 10 favourite destinations where you can soak in amazing scenery, see a special part of the world, AND sip complimentary poolside cocktails. Imagine never ending, empty, white-sand beaches. Add gently lapping brilliant turquoise seas. Sounds like an advert right? But they really do exist on the Cape Verde island of Boa Vista. 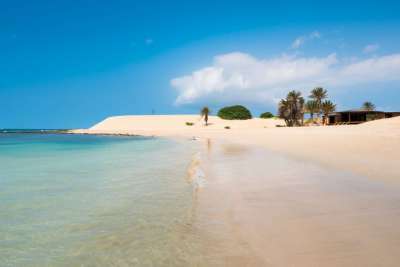 There are 10 islands in the archipelago nation of Cape Verde, lying off the coast of West Africa. Tourism has yet to hit them in a big way, so in Boa Vista it's great to stay at an all inclusive resort, where you know your every need is catered for. Leaving you free to get on with the important business of enjoying that beach! 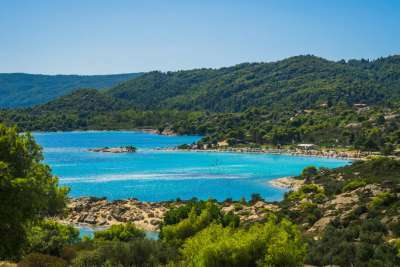 We're not quite sure how, but Halkidiki on the Greek mainland doesn't get the same kind of attention as the Greek islands. It should do, as it's a gorgeous landscape of pine tree-clad hills sloping into sheltered, sandy beaches. There are some lovely hotels in this region, including plenty of all inclusive options which really make the most of the peaceful surroundings. This is a great area to get active in too, so if your all inclusive resort offers waterports and mountain bikes for rent, all the better. 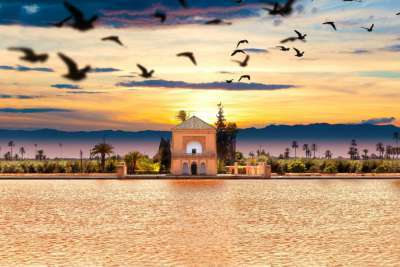 As well as the advantages of a hot climate, Marrakech boasts an atmospheric setting surrounded by desert and the peaks of the Atlas Mountains. While the ancient city centre holds spice-scented souks and storytellers, it's the surrounding area and outskirts where you'll find more luxurious hotels. Typically offering a huge range of pools, restaurants and spas, sprawling across landscaped grounds, you can think of them as your own all inclusive oasis. And you can always head into town for an afternoon of bartering for bargains! A holiday on the islands of the Maldives is like nowhere else. This is the quintessential postcard-perfect holiday destination, with idyllic atolls given over to romantic resorts where you can explore colourful coral reefs and stroll along white sands. However, it's because a holiday here is so remote and relaxing that it's a great idea to go all inclusive. There's not a lot of facilities outside of the resorts - especially if you're on a private island. So instead: make sure your resort will cater for you in advance, arrive, and don't worry about a thing. Turkey's Mediterranean coast is famed as a beautiful beach location, and favourable exchange rates make Turkey an affordable all inclusive destination right now! 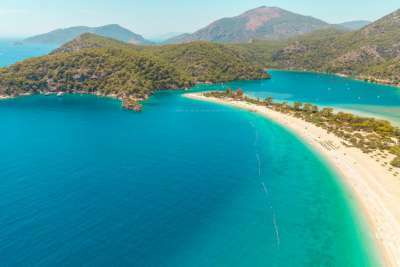 But if you want to step your all inclusive holiday's aesthetics up a notch try staying near to the Blue Lagoon of Olu Deniz. This deep blue lagoon framed by mountains ranks as one of the most photographed spots in Turkey - and one of it's best-loved beaches. And no matter which of the nearby resorts you choose, you'll enjoy that same stunning mountainous backdrop. When Cuba decided to open up some of their beautiful beaches to tourists, they sure did pick some gems. Varadero is a 25-kilometre-long peninsula edged with a broad white-sand beach and lapped by the Caribbean sea. The extensive hotels that have grown here are purpose-built to supply you with everything you need. 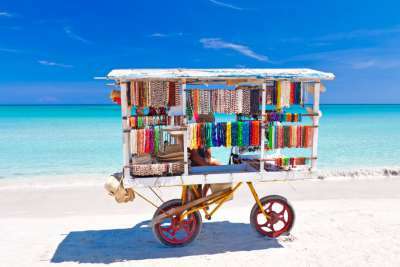 And though Varadero is among the most developed of Cuban resorts, the sheer size of the beach means there's more than enough sand to go around. 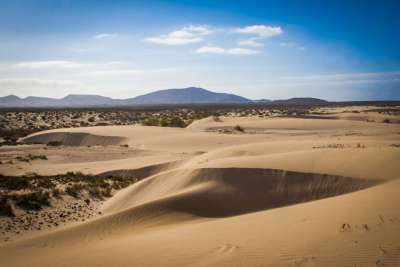 Fuerteventura is generally regarded as one of the quieter Canaries, as well as one of the most naturally beautiful. After all, it has been a UNESCO Biosphere Reserve since 2009. All of which make it a lovely destination to indulge in an all inclusive week away. In the southern peninsula of Jandia, resorts are surrounded by wild landscapes and nature reserve. Further north is a bit more built up, but nature still provides some spectacular backdrops, whether you're staying by the sand dunes of Corralejo or climbing over the rich volcanic landscapes. 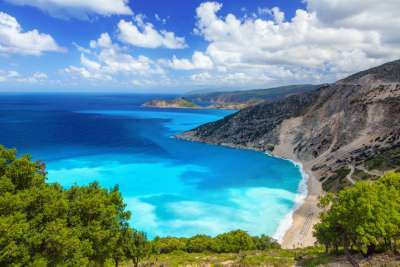 Kefalonia's beauty is famous. Famous in the kind of way that only starring in a Hollywood movie like Captain Corelli's Mandolin will bring. But it's no camera trick. You can holiday on this Ionian island of forested hills, old olive groves, Roman ruins and sparkling seas. The one-time fishing village of Skala is where you'll find the most action, and all inclusive hotels. But even here Kefalonia's beauty can't be disrupted, with a massive Blue Flag beach backed by pine trees. And if you want to discover more you're only ever a day trip away from a completely unspoilt cove. 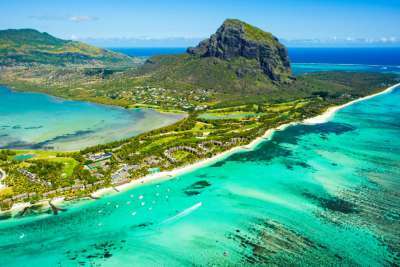 If you're thinking of a blissful volcanic island, Mauritius should be way up there. This natural paradise is a wealth of sugar-sand beaches, virgin forests and tropical gardens. One way to make it even more blissful is going all inclusive, and never having to worry about going over budget on a dream holiday. There are plenty of lavish hotels which befit this incredible destination. We can help you compare the deals, so you don't pay over the odds for them either! Laid back and beach laden sums up Menorca. 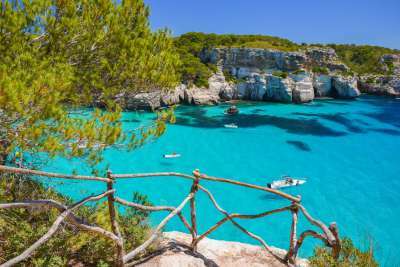 If you're looking for a relaxing, beach based sort-of all inclusive holiday, this is the Balearic Island on which to do it! Its lacking the loud nightlife centres of Majorca and Ibiza, but makes up for it by having more beaches than both of them combined. As is common for the Balearics, the beaches are divine - expect golden or white sands gradually disappearing into brilliant turquoise waters. Pick up a complimentary cocktail at your hotel bar, sip and drink in the view.